They say tea tastes the best when shared. So here is a refreshing tea story that needs to be shared as well. 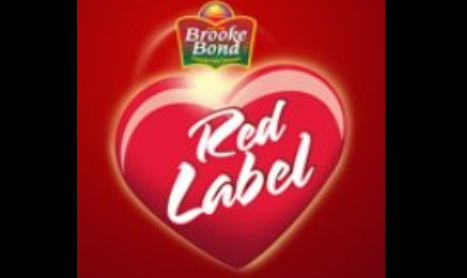 It so happened that Brooke Bond Red Label, Hindustan Unilever’s largest tea brand found itself with a community of a little over 96K fans on its Facebook page one day. As a mark of appreciation and gratitude, Red Label decided to celebrate the journey towards reaching 1 lakh fans, in an innovative and engaging way. Red Label teamed up with Webchutney, a digital agency to help celebrate the occasion through a creative campaign and what better than a countdown with a dynamic Facebook Cover Photo. The idea was to have a live countdown from the final thousands to 1 lakh with a dynamic photo cover image. So each time a fan hits the like button on the fan page, the countdown changes on the cover picture. But the countdown also featured a tea cup. With every like, the countdown changed on the cover page and a tea cup woven into the design kept filling up little by little! Along with sharing the dynamic cover photo, the page admin also requested existing fans to help celebrate the occasion and fill the cup by inviting their friends and family. The cup got filled eventually while the fan community grew. The activity that was initiated on Wednesday, the 31st of July with around 96K likes saw the fan base soar up to 1 lakh fans within four days. The Facebook page reached the 1 lakh milestone on Sunday, the 4th of August. To achieve the real time countdown, Facebook PHP SDK and ImageWorkshop 1.3 (PHP GD) image library were used to create a Facebook app. The current number of likes on the Red Label India Facebook page was fetched using the graph api and compared with the previous count of the number of likes stored in a database. The newly created image was then uploaded on to the Red Label India page using Facebook post api. And is then set as the cover picture through its photo id. For Red Label, Facebook was being leveraged to bring together two things as a platform – the natural benefits of drinking tea and the traditional role that tea plays in bringing families together. And, this filling of the tea cup with the addition of every new fan, has just symbolised that. The dynamic Facebook Cover Photo campaign catered well to bring together tea lovers as tea is the beverage of choice for many Indians, and Red Label has set a benchmark for other beverage brands. However, the concept is not a first-of-its-kind in India. When mineral water brand Bisleri was going to hit the 1 lakh fans milestone on its Facebook page, the brand did a similar exercise. It created a dynamic Facebook cover photo that changed in real time to reflect the countdown towards the 1 lakh goal. That was a first for India.